5/18/2007 DynaMed Plus Systematic Literature Surveillance http://www.dynamed.com/topics/dmp~AN~T908142/Human-papillomavirus-HPV-vaccine : The FUTURE II Study Group. Quadrivalent vaccine against human papillomavirus to prevent high-grade cervical lesions. N Engl J Med. 2007;356:1915-1927. 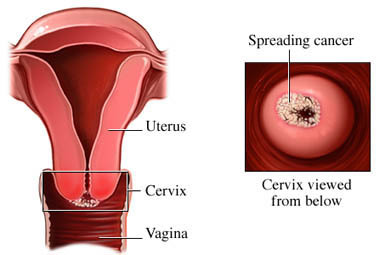 7/7/2014 DynaMed Plus Systematic Literature Surveillance http://www.dynamed.com/topics/dmp~AN~T116761/Cervical-cancer-screening : Qaseem A, Humphrey LL, et al. Screening pelvic examination in adult women: a clinical practice guideline from the American College of Physicians. Ann Intern Med. 2014;161(1):67-72. 10/1/2014 DynaMed Plus Systematic Literature Surveillance. http://www.dynamed.com/topics/dmp~AN~T576498/Complications-of-obesity : Bhaskaran K, Douglas I, Forbes H, dos-Santos-Silva I, Leon DA, Smeeth L. Body-mass index and risk of 22 specific cancers: a population-based cohort study of 5.24 million UK adults. Lancet. 2014;384(9945):755-765.